Since embarking on the Zero Waste lifestyle, my life and that of my family has completely changed... for the better. We not only feel happier, we lead more meaningful lives, based on experiences instead of stuff, and action instead of inaction. 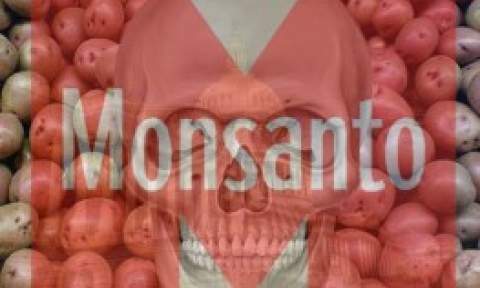 Stopping Monsanto has become a must for our survival. I've got several friends in America (specialists of computer security). Till now, I only knew about Susan as a fighter against Monsanto; now, I realize lots of my friends joined the gang. In France we often think Americans don't do anything to counter junk food, GMOs, obesity, etc. That's true that in the US, people are free to enterprise but when they start, they are efficient. 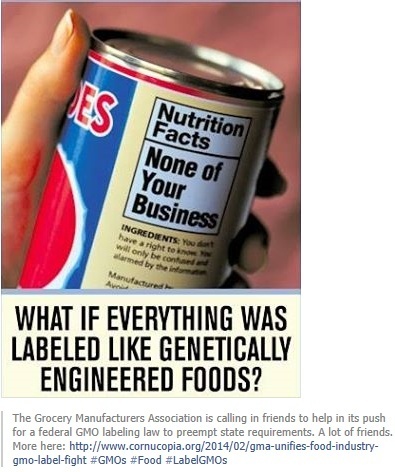 I only knew about Susan as a fighter against Monsanto; now, I realize lots of my friends joined the gang. I also know a lot of Young people who have started growing their own vegetables. Healthy food is so important, especially for pregnant mothers and babies under the age of two. Next time you're at the grocery store, consider choosing at least one organic product out of every 10 items you purchase. Gosh! There's a current campaign against Barilla... because they wrote nasty wordfs at gays. Things are moving in the States. I think that people will prefer BO then, it is healthier....Anyway I have read "What’s That Smell? Exotic Scents Made From Re-engineered Yeast"It's dreadful. Do you recognize American culture? Everyone can do what they want but people must be informed and choose! In a few hours the polls will close in Washington State, and in a few days we should know the outcome of the @[516766995052122:274:Yes on 522] vote. Whatever happens, we want to express tremendous gratitude for our customers who have supported us and this cause! 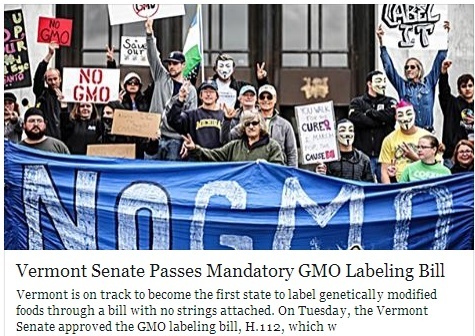 We also know that as important as this vote is, it is just one skirmish in the ongoing battle for transparency in labeling and the protection of organic sustainable agriculture. Thank you and may we all fight on in joy and righteousness! I have a feeling there will be the need to fight on. Against corporate greed, lies, chemical companies, money laundering and voters who would believe big buck TV ads rather than use any informative reasoning. WIRED partnered with Food Network and crunched 49,733 recipes and 906,539 comments from their massive website. The result is a fascinating overview of how Americans cook. You go and pick up the leftover pizza from last week, and you notice part of it is moldy. If you cut off that part, is it safe to eat it? Anthony gets to the bottom of this extremely pressing question, because pizza is obviously extremely important, and the answer may not be as black and white as you'd might think. Not very clear indeed ! This doesn't concern the USA but I find important to point out Russia's freedom while the French have to keep trying to ban GMOs in our country because of Europe. If approved by the Vermont House of Representatives, who initially passed the bill before it made its way to the Senate, the law would take effect on July 1, 2016.